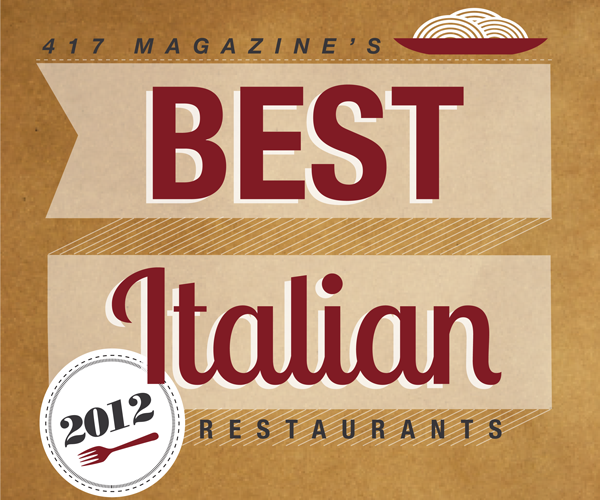 On the following pages, we profile 417-land’s very best Italian restaurants. You’ll find chefs from Italy, and tips for what to order when you visit their restaurants.. Here in 417-land, we love homemade, freshly prepared Italian cuisine. We love plates loaded with tender spaghetti and topped with juicy, hand-formed meatballs. We love homemade fettuccine tossed with Alfredo, and those ravioli that have been hand-stuffed with so much filling that they’re about to pop. Our mouths water at the thought of fresh focaccia dipped in olive oil. That’s why we went out in search of the best Italian flavors in southwest Missouri. 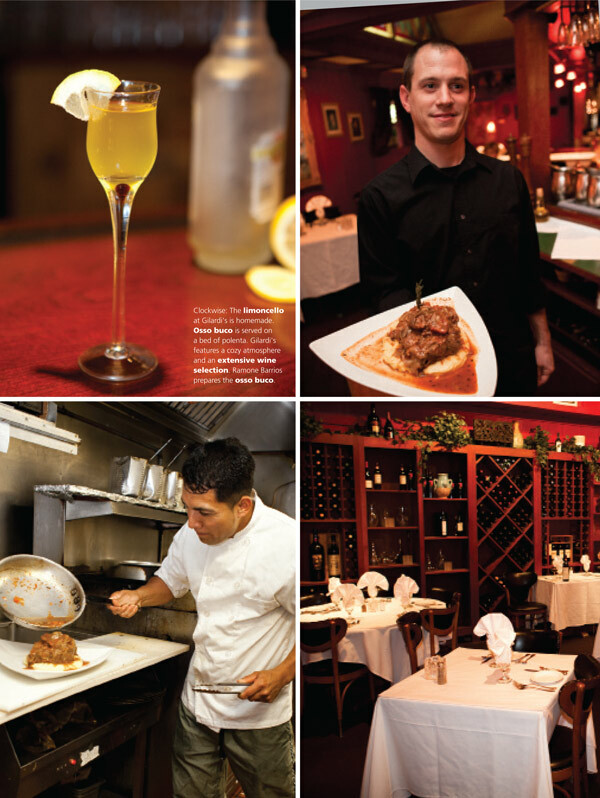 On the following pages, we profile 417-land’s very best Italian restaurants. 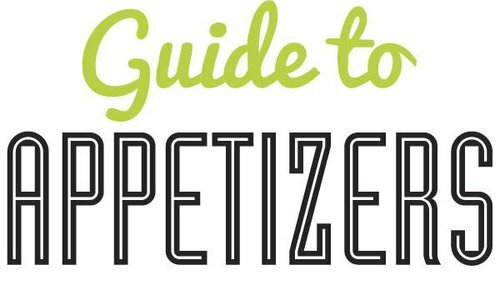 You’ll find chefs from Italy, and tips for what to order when you visit their restaurants. We tell you where to find things like homemade ricotta cheese pasta, tiramisu, mouthwatering marinara and drool-worthy cream sauce, plus the very best Italian cooking ingredients and how to try them out in your own kitchen. Tossed with a little love and sprinkled with some Parmesan, this is a pasta-perfect feature that will fill your belly and warm your heart. Before you dig into the entrée selections at Nonna’s, you’ll be dipping fresh bread in olive oil and piling it with freshly chopped garlic and Parmesan cheese—the restaurant’s well-known bread service. The menu provides your own tour of Italy, with meats, veggies and polentas inspired by the Northern Italian region and pastas with tomato-based marinaras and pomodoros inspired by the South. A couple of months ago, the restaurant delved into coastal Italian offerings, adding redfish and stuffed calamari tubes (filled with Italian sausage and polenta). No matter what you order, know that chefs use authentic cooking methods. The marsala sauce is the real deal. “It takes half a bottle of wine to make one person’s dish,” Kraft says. A sauce of nothing but wine, garlic and butter? We’ll see you at dinner. 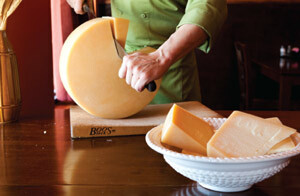 One More Reason to Love It: The Parmesan cheese comes from a 25-pound wheel that they grate daily. Talk about fresh! 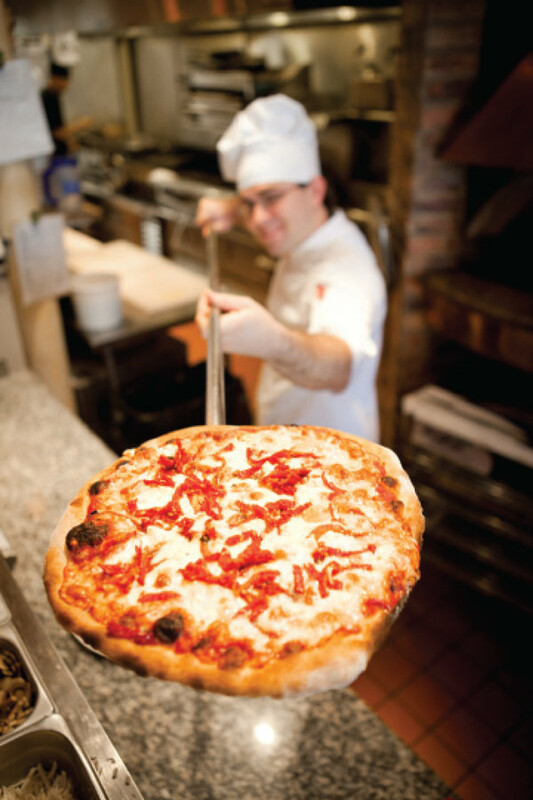 Executive chef Joseph Smith pulls the ai caprini e peperoni out of the brick pizza oven at Bruno’s Italian Restaurant. Bruno’s Italian Restaurant is tucked away on downtown Springfield’s South Avenue in a beautifully restored historic building. Philodendrons hang from the ceiling, and a mural of Bruno’s Italian vineyard and house is painted on the north-side wall. Not too long after you’re seated in the quaint eatery, you’re delivered freshly baked focaccia bread and a delicious dipping sauce made of sun-dried tomatoes, olive oil and balsamic vinegar. You’ll be dragging the focaccia across the plate to soak up every last drop. You’ll often spot chef Joseph Smith or even owner Bruno Gargiulo himself in the kitchen area just behind the bar, as they toss together pasta dishes or heave pizzas into the brick oven. Gargiulo was born and raised in Palermo, Sicily, then came to the United States in 2003. He opened Bruno’s in 2005. There you can grab both lunch and dinner, with the lunch menu offering a smaller selection of soups, salads, panini, meat, fish, pasta and pizza. “All of our breads are made on the premises,” Gargiulo says. This also goes for the restaurant’s sauces, desserts and even the Sicilian sausage. Popular dishes include the rigatoni al ragu di carne, a rigatoni pasta served with traditional meat ragu sauce; and an angel hair pasta dish that’s prepared with sun-dried tomatoes, garlic, fresh basil and chili oil. Bruno Gargiulo has a vineyard in Sicily, and you can order some of his vino at the restaurant. The spot recently started serving the vineyard’s third vintage wine, which is a blend of 65 percent cabernet and 35 percent merlot. When a restaurant has the word “pasta” in its name, it better be ready to serve up some first-class entrées. Nearly Famous Deli & Pasta House does not disappoint. The pasta menu here includes spaghetti marinara, baked lasagna, spinach lasagna and fettuccine Alfredo at lunch, and the dinner menu expands to include tortellini, chicken cacciatore, and veal Parmesan and more. A favorite here is the chicken piccatta dinner special—a lightly breaded chicken breast topped with a delectable sauce of capers, lemon juice and chicken stock. If you’re craving seafood, try out the Italian shrimp, a flavorful combo of shrimp, celery, garlic, bell peppers and scallions tossed with spaghetti, garlic, butter and Parmesan. The restaurant makes all of its sauces from scratch, and the staff whips up some tasty homemade meatballs. At D’Arpino’s Italian Café, the marinara sauce is the perfect blend of sweet and spicy. “My joke is that’s why I married my husband—his marinara,” says Mary Ann D’Arpino, who owns the restaurant with her husband, Mark. The couple opened the intimate Italian restaurant in 2004. Its menu offers pastas, pizzas (that you can order with Alfredo sauce), sandwiches and desserts. Among the most popular dishes is the Penne Valentine with penne pasta, garlic, grilled chicken, sun-dried tomatoes, fresh spinach, bacon and Alfredo. 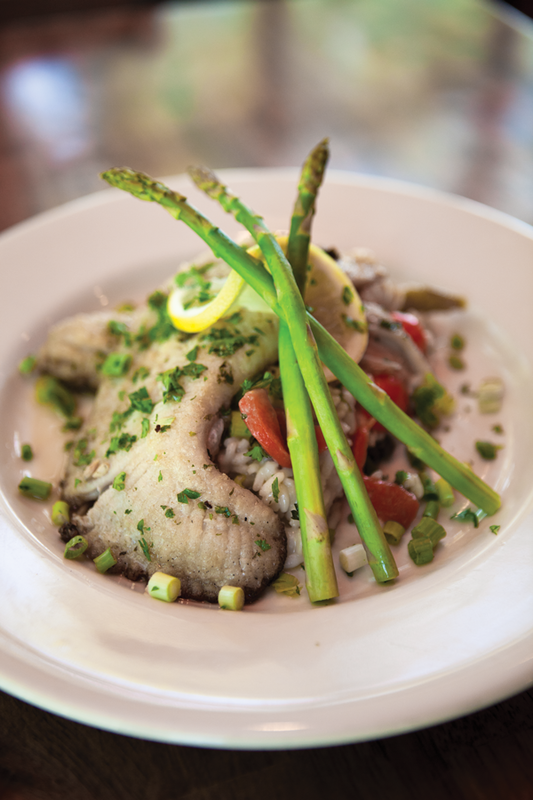 On the weekends, specials often include grilled Italiano pork chops and Parmesan-encrusted grilled tilapia with shrimp. “We try to put an Italian flair on everything,” D’Arpino says. One More Reason to Love It: Try the calzone that’s jam-packed with ham, salami, provolone, capicola, prosciutto, mozzarella, ricotta and veggies. It’s called the Balboa Delight. Yo, Adrian! Other stars on the Northern Tuscany–inspired menu include the seafood-filled frutti di mare entrée, featuring spaghetti, shrimp, calamari, scallops, black mussels, fresh marinara and a touch of red pepper. Another favorite is the bistecca rosemarino, a ribeye that’s hand-cut by Garcia and topped with a white wine and gorgonzola cheese sauce. But before you even order one of these flavor-packed menu pleasers, you’ll enjoy some pre-carb carbs via a lovely little bread basket filled with house-made focaccia bread and baguettes that you can slather with a hefty serving of the restaurant’s mixed Italian herb and garlic butter. The mood is intimate, making the restaurant a perfect spot for a date night or special family gathering, and the food is all made to order, so you know you’ll chow down on a piping-hot plate of pasta. One More Reason to Love It: At press time, Garcia told us that a new menu was in the works—and it includes three house-made raviolis! 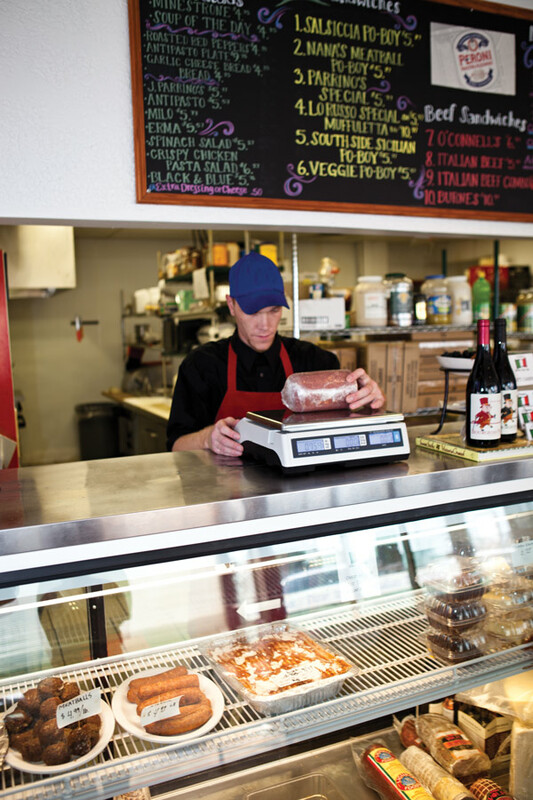 Whether you’re looking to dine out or want to cook like an Italian chef at home, Queen City Deli is the place to be. The restaurant-grocery hybrid offers both delicious dine-in Italian cuisine and a variety of hard-to-find Italian ingredients you can take home to prepare your own feast. Long-time 417-landers may recognize owner Jay Parrino from his former restaurant, J. Parrino’s. If you ever ate there, you will see a few familiar dishes on Queen City’s menu. The Italian sandwich selection here offers plenty of opportunity for indulgence. For example, the Parrino Special piles a hefty stack of roast beef, Italian salami and prosciutto on garlic cheese bread and tops it with the restaurant’s house salad (drool!). Former Chicagoans often say the restaurant’s Italian beef sandwich is the closest thing they’ve had to sandwiches served in the Windy City. But there are also a handful of pasta entrées that should not be overlooked. A favorite is the baked mostaccioli, a penne pasta entrée that features red and white sauces and is smothered in cheese. 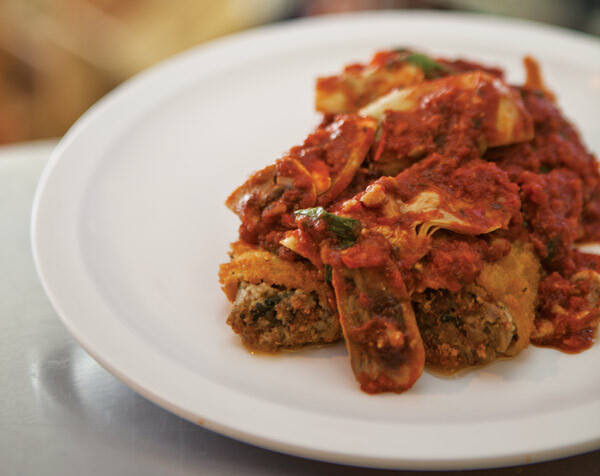 Other dishes feature stuffed pastas and Italian sausages that are made on The Hill, the Italian neighborhood in St. Louis where Parrino grew up. One More Reason to Love It: The grocery area here sells San Marzano tomatoes, imported pastas, cannoli shells, Arborio rice (for making risotto) and Italian lunch meats. Tie on your apron, and get busy! One More Reason to Love It: From 2:30–6 p.m., you can order a “lunch special” from any day of the week (and it comes with salad and bread) for $10. Try it: Sprinkled on freshly popped popcorn—or atop just about every Italian dish. Born and raised in Italy, Gilardi helped out in his family’s restaurant from childhood all the way until he was old enough to attend an Italian culinary school. (Now that’s authentic.) Since he completed his training, he has worked in fine-dining restaurants all around the globe. In 1998, Gilardi and his wife, Monica, opened Gilardi’s Ristorante in Springfield, giving him a chance to serve 417-landers top-notch Italian creations from a dimly lit, cozy carriage house tucked away on Walnut Street. The menu at Gilardi’s includes primarily Northern Italian cuisine, loyal to Gilardi’s roots. One of the spot’s most popular dishes is the signature Gilardi Pasta, a meal of homemade ricotta cheese pasta (hand-made at the restaurant) with mushrooms and Italian sausage in a lightly spiced tomato cream sauce. The homemade pasta is the real star in the dish, offering an unbeatable rich flavor and a firm texture. The light homemade sauce, fresh mushrooms and hunks of savory sausage are just a bonus. Regular customers also love the osso buco—a stewed veal shank and mushrooms dish served with polenta. 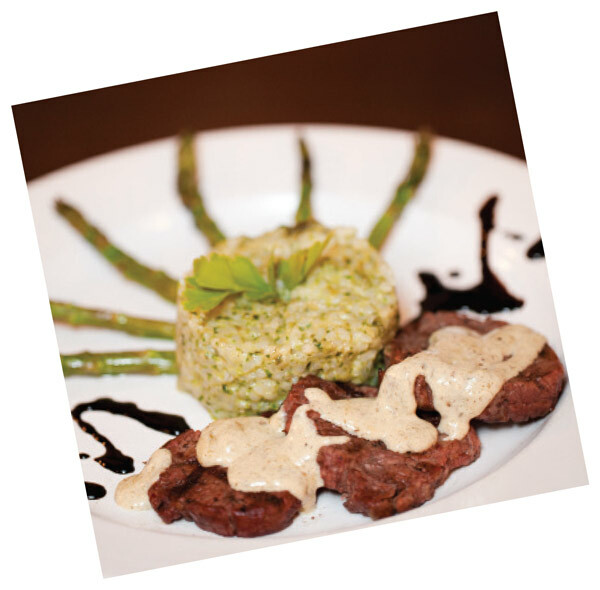 The spot also serves wheat pasta and gluten-free entrées on request, and meat-hungry diners have their choice of center-cut filets served with green peppercorn or gorgonzola cream sauce. “I only buy the center cuts, so everyone is happy,” Gilardi says. Thanks to the cooking skills of Gilardi and sous chef Ramone Barrios, this happiness is easy to come by. If you’re in the mood for alcohol, the restaurant offers an impressive list of wines, and Gilardi often makes his own limoncello (a lemon-flavored Italian liqueur). The stuff is stout, refreshing and served in a fancy little cordial glass, making a delicious after-dinner treat. Salute! 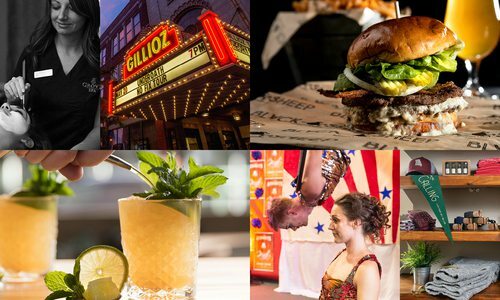 One More Reason to Love It: Even if it’s not on the menu, Gilardi will make you whatever you’re in the mood to eat (if the restaurant is not too busy). “We are always here to serve the customer,” Gilardi says. Lifestyle Editor Savannah Waszczuk tries her hand at making pasta from scratch with Avanzare’s head chef and owner Tony Garcia. Garcia shares a few tips for making your own Italian feast. Pasta can be flavored and colored with a variety of ingredients, such as beets, tomato paste, pesto, spinach or saffron. Just combine your additive with the liquid ingredients before you combine them with the semolina and flour. When making your dough, mix until it has a consistent color throughout. If your mixture seems dry, add water one tablespoon at a time until it becomes pliable. All you need to make ravioli is a wine glass! After you roll a large sheet of pasta, cut it into two pieces, one slightly larger than the other. 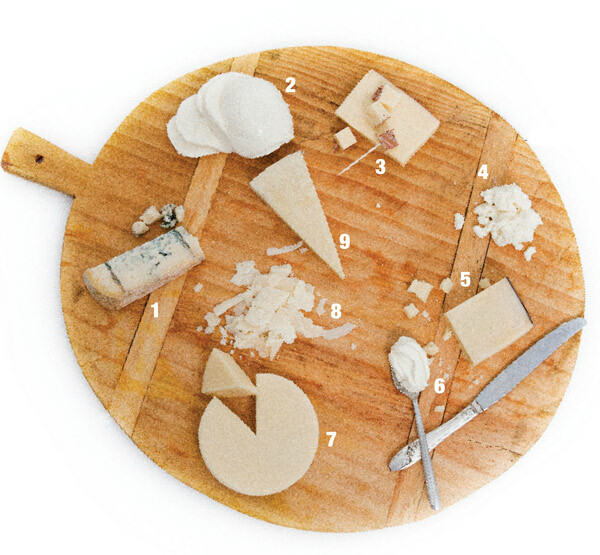 Place the smaller sheet on a counter top, and form circle shapes on the dough with the rim of a wine glass. Add a tablespoon of your desired filling inside of each circle, then brush around the outside of the circle with a well-beaten egg. Place the larger sheet of pasta on top, then lightly press down around each filled ravioli. Seal and cut the ravioli apart with the rim of the wine glass. If you’re angry, consider making some homemade pasta—Garcia says kneading the dough is a great stress reliever! Garcia’s basic pasta recipe (online at 417mag.com) can be used for noodles, ravioli or lasagna. 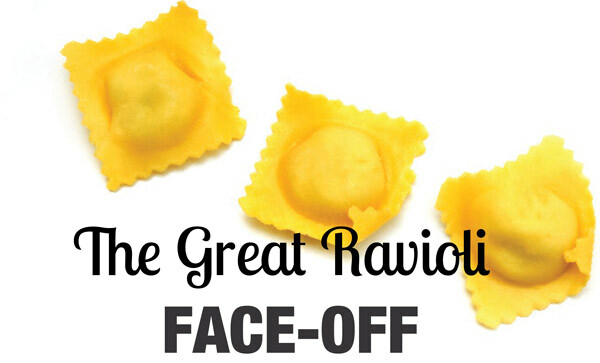 Garcia says if you’re making ravioli, roll it very thin, allowing the filling to play an equal role. Place semolina and flour in a large mixing bowl, and mix with hands until well combined. In a large measuring cup, break eggs, add oil, then add water until you have two cups of liquid. If you have a stand mixer, load the dough hook and mix semolina, flour and eggs together until well combined. If you do not have a stand mixer, place the semolina and flour mixture on a countertop in the shape of a mountain. Form a well in the center of the semolina and flour mixture, then pour in the egg mixture. Using a fork, slowly incorporate the flour with the eggs by mixing, adding more flour to the center as the mixture combines. Keep mixing until the ingredients are all incorporated. After the dough is formed, dust a countertop with semolina and knead it for approximately five minutes. After kneading, separate dough in half, wrap each half in plastic wrap and let rest for 10 minutes. Working with one half at a time, roll the dough into a flat rectangular shape with a rolling pin. If you have a pasta machine, adjust it on the widest setting and roll the dough through three or four times. Next, move the setting down one notch and pass dough through once. Continue lowering the setting and rolling dough through (once per setting) until pasta reaches desired thickness. If you do not have a pasta machine, you will have to roll dough as thin as possible with a rolling pin. (It’s very hard to get the pasta thin without a pasta machine. You can purchase a pasta machine at a variety of local stores, such as Everything Kitchens, 2750 South Glenstone Ave., Springfield, where prices start at $59.99.) 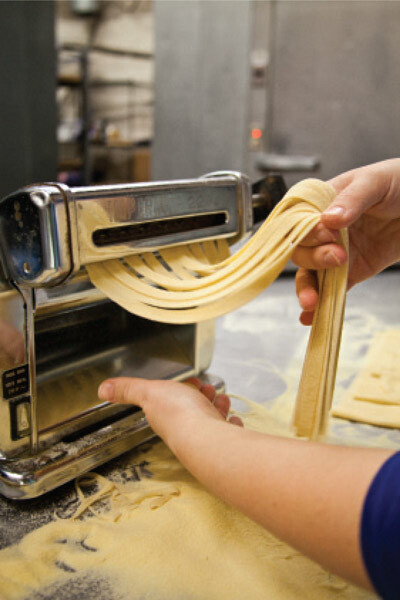 After dough reaches desired thickness, use pasta machine or a pizza cutter to cut it into noodles. Dip fresh-cut noodles in semolina to prevent sticking. Note: This recipe makes approximately 8 six-ounce servings of pasta. Pasta can be wrapped in plastic, frozen and prepared at a later date. The lemon white wine cream sauce at Florentina’s Ristorante Italiano helps set the restaurant apart. Made of lemon juice, white wine and heavy cream, this fresh yet savory sauce is served in a variety of classic pasta dishes, including the Capellini Vongole that combines pasta, clams, garlic and parsley. All the sauces here are made from scratch, as well as the bread, meatballs and cannoli. The restaurant’s massive menu offers everything from a Nachos Italiano appetizer (think loaded, crispy pasta chips) to seafood, steaks and house specialties such as slow-roasted Tuscan ribs. The restaurant also serves brick-oven pizzas, including a Sallsiccia Con Mela with Italian sausage, sliced apples and candied walnuts that are made in-house. A customer favorite is the Rigatoni Florentina dish that combines grilled chicken, mushrooms, onions, broccoli, artichoke hearts, sun-dried tomatoes, fresh basil, parsley, capers, kalamata olives, garlic and rigatoni in a tomato cream sauce (holy moly!). 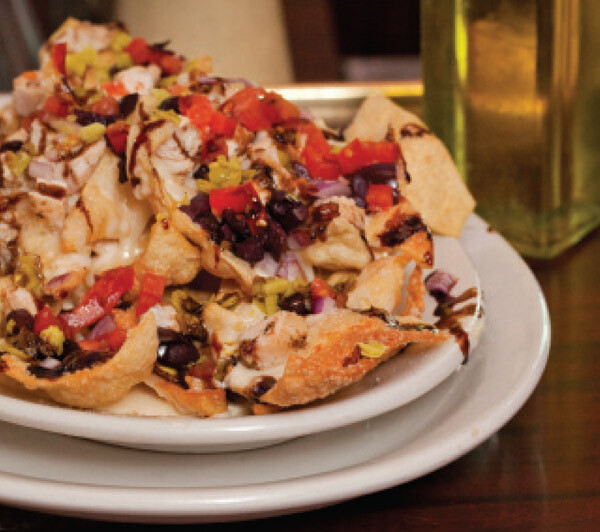 If you’re out with the family, you can enjoy dining family-style here, sharing platters of appetizers, salads, soups, pasta dishes and specialties. Pass the spaghetti! One More Reason to Love It: Florentina’s Ristorante Italiano tops many dishes with a signature cheese blend that combines provolone, mozzarella, fontina and two kinds of Parmesan. If you dine at this Joplin restaurant on the weekend, you won’t only enjoy scrumptious Italian food—you’ll also enjoy live blues music played on a harmonica. The live music adds to the restaurant’s cozy and welcoming ambiance, making it the perfect spot to share a romantic meal or enjoy a family dinner. Owner Donnie Bennett just launched a new fall menu. Caldone’s is known for making its own pasta, and many Joplin residents enjoy the lunchtime buffet that includes pizza. At dinner time, guests can indulge in bread with roasted garlic, balsamic vinegar and olive oil, and meat-lovers enjoy the Three Wise Guys entrée that features three filets served on garlic mashed potatoes. One’s topped with a crab cake, one with a scallop and one with shrimp, and each has an accompanying sauce. A favorite pasta dish is Caldone’s Chanel No. 5, a dish of lobster, shrimp, artichokes, prosciutto and cheese tortellini in a garlic cream sauce. 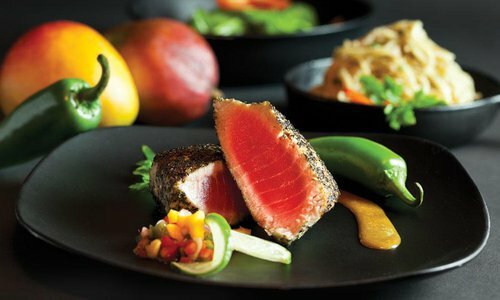 ⊇One More Reason to Love It: The restaurant prepares a few dishes tableside, including a flaming Parmesan cheese appetizer and a bananas foster dessert. With its cozy building located just a quick walk from Missouri State University, Bambino’s Café gets a lot of love from college kids. But they’re not the only ones who adore this cozy restaurant. 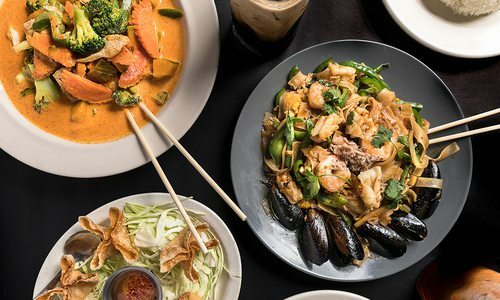 Since opening in 2000, Bambino’s has earned a respectable rep as a casual neighborhood restaurant that offers tasty food at affordable prices. The menu is just the right size with a nice selection of panini, pastas, personal pizzas, fresh salads and homemade soups. Andy Faucett owns the restaurant with his mother, Mary. In addition to soups, they make all of the restaurant’s breads and sauces. One favorite is the baked ziti dish. To make the sauce, they braise a beef roast for hours, then combine the robust stock with a tasty tomato sauce and wine. It’s then tossed with pasta and a little cream, and the result is a dish so tasty you won’t be able to stop eating it. Frequent diners also love the panini sandwiches, which are giant in both size and flavor. For dessert, try the homemade tiramisu or the gelato from Springfield’s Benissimo Gelato and Sorbet. One More Reason to Love It: When it’s nice outside, dine on the patio. Tucked away in the Phelps Grove neighborhood, it almost feels like you’re eating on your own porch! Nicola’s has a large bar area, and Gilardi was working on expanding it at press time. “It will be almost twice as big,” he says. The spacious bar makes Nicola’s a popular spot for post-work drinks, where people can kick back with house cocktails such as the Genoa, an Italian-inspired vodkatini; and the Grappa di Galliano, a cocktail of Gaja Grappa, lemon and orange juice with a Galliano rinse. Guests often end up sticking around for dinner, where they can order from mouthwatering menu items or five to six fish specials each night. “It depends on what we can get fresh,” Gilardi says. That’s also why the restaurant’s popular seafood pasta entrée changes up a bit. “It’s usually linguini noodles, olive oil, garlic, a splash of tomato sauce, crushed red pepper, black mussels, jumbo shrimp and jumbo scallops, calamari and white mushrooms,” Gilardi says. “But based on freshness, it sometimes has clams, crawfish or other seafood.” Other favorites here include the penne alla vodka, penne noodles in light spicy tomato cream sauce with chicken and a splash of vodka; and the veal and portobello mushroom ravioli, hand-stuffed pasta served in a cream sauce and drizzled with truffle oil. One More Reason to Love It: There’s a handful of delicious homemade desserts to try at this restaurant, including a special cannoli with Nutella filling! Any time Italian cuisine is mentioned at the Whitaker Publishing offices, we end up debating one very important question: Which veal and portobello mushroom ravioli dish reigns supreme—the one at Ristorante Gilardi’s or the one at Bruno’s Italian Restaurant? The two pack some hefty competition, but the food feud has never truly been settled behind our closed doors. At least not until now. To put a stop to the madness, we sent one brave, starving, not-too-proud lifestyle editor to eat the dishes for dinner, one immediately after the other. What occurred was an ambrosial adventure tasting these two hand-stuffed wonders (and it left this editor with some really tight pants). *Disclaimer: Both of these dishes are sinfully delicious, and the rankings are based solely on personal opinion. If you like good Italian food, we can guarantee one thing: Both of these entrées will provide you with love at first bite. First look: Holy cow. This dish is loaded with mushrooms. I can’t pick up my fork fast enough. Two-minute review: The second this plate of hand-made magic was set in front of me, I immediately smelled the truffle oil. I was excited, to say the least. The waiter kindly and calmly offered to sprinkle my dish with fresh Parmesan, and I happily accepted. And then I quickly shooed him away, so I could chow down like a starving mad woman. At first bite, I wanted to sing. I wanted to dance. I wanted to scream from the top of a mountain. The flavor of the filling is truly unlike anything I’ve ever tasted. It’s finely ground, beyond tender and offers a richness and creaminess that cannot be rivaled with typical beef. And there are jumbo hunks of mushroom mixed in, providing a welcome consistency change. The cream sauce here is a light complement, not too overbearing, letting the true flavor of the veal-mushroom filling shine. And Gilardi’s certainly doesn’t skimp with the truffle oil—I got some of that rich flavor with every bite. After I gobbled down every last morsel, I wondered one thing: Can I take a bath in that filling? First look: Whoa, that’s a whole lot of food! Two-minute review: As soon as my entrée was served, I excitedly counted each ravioli like kids count their gifts on Christmas morning. One, two, three, four, five, six, seven! This dish came with seven giant ravioli, which is one more than I was served at Gilardi’s. But after my first bite, I did notice one thing—there was a bit less filling than Gilardi’s pillowy treats. But that filling is ridiculously delicious and richer than Donald Trump. And that sauce. Oh, that beefy, mushroomy sauce. It’s beyond delish, and they give you a lot of it. I would say it might even compete with the ravioli as the star of the meal. There’s not quite as much truffle flavor, but the complex, salty bite of the mushroom sauce pairs with the delicate pasta and tender filling to create a party for the tastebuds. This dish definitely gets two thumbs up.